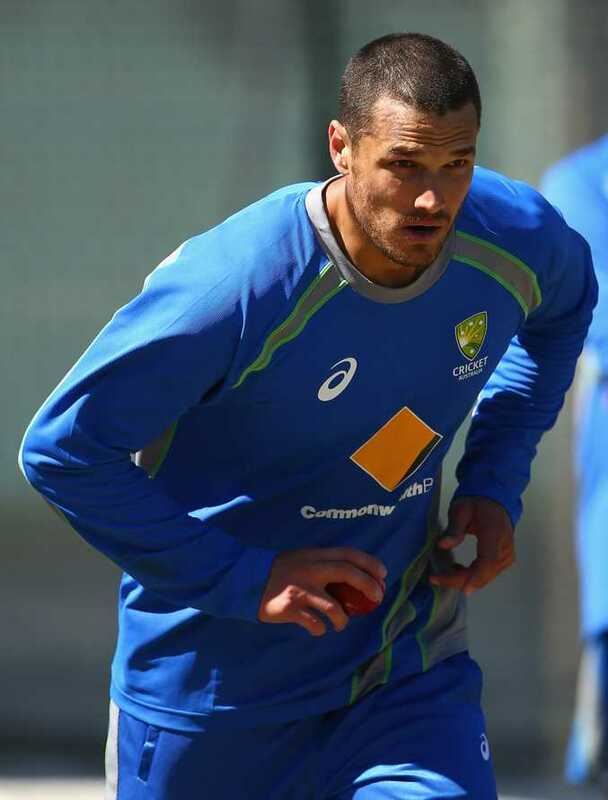 There might be concerns among commentators regarding Nathan Coulter-Nile's selection in the Test squad, but none among the players. The 28-year-old was a controversial pick in the 13-man party before the first Test against the West Indies in Hobart starting on Thursday, after not playing a Sheffield Shield match this season. But the national selectors could not resist Coulter-Nile's pace and swing, the powerful paceman capable of bowling at more than 140kmh. The fiery Western Australian has suffered hamstring and shoulder injuries, and was suspended from round four of the Shield against Victoria following a second behaviour breach this summer. But his Warriors teammate, experienced batsman Adam Voges, was a credible voice who endorsed the selection. "I've seen Coulter-Nile develop really nicely over the last couple of years," Voges said. "He can be used primarily as A strike bowler for us, he bowls good pace, he can touch mid-140s (kmh) and get good shape at that pace as well. "I think in terms of whether he gets a game or not, I'm not too sure. "But I see him and Jimmy Pattinson in a similar vein in terms of good pace and they can swing it. So he's a good asset to have." Coulter-Nile said despite the lack of game time, his net form was good leading into the first Test. "It's coming out really well. I haven't tested myself at the higher levels but I'm really happy with how it's coming out in the nets," he said ahead of a possible Test debut. "The ball is coming out well, swinging and hitting good areas. Hopefully it translates." If called up to play in his first Test, Coulter-Nile said he wouldn't underestimate the West Indies, despite their disappointing 10-wicket loss to the Cricket Australia XI in a four-day warm-up match in Brisbane. "This could be my first Test so I'm not taking anyone lightly," he said. "West Indies have got a bunch of good young players coming through. I haven't seen a lot of them, but they're obviously a good team. "If you take anyone lightly you'll get found out. "It's called Test cricket for a reason."